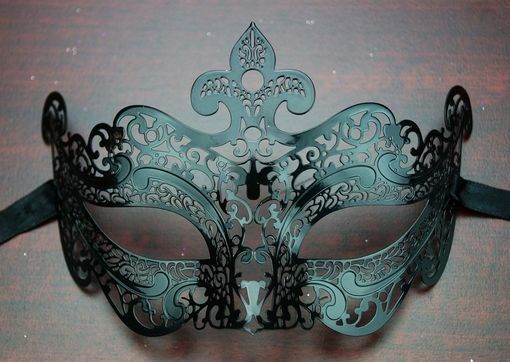 This petite, laser etched mask is designed for small faces. One design makes up the majority of the mask, while another design outlines the eyes, and fleur de lis. Comes with black ribbon ties.